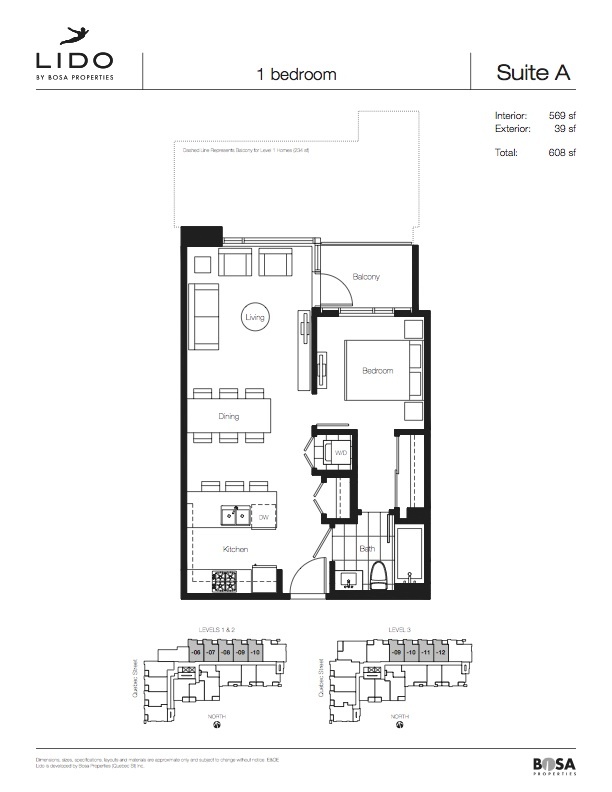 Lido is a new condo project by Bosa Properties Inc. currently in preconstruction at 1650 Quebec Street in Vancouver. 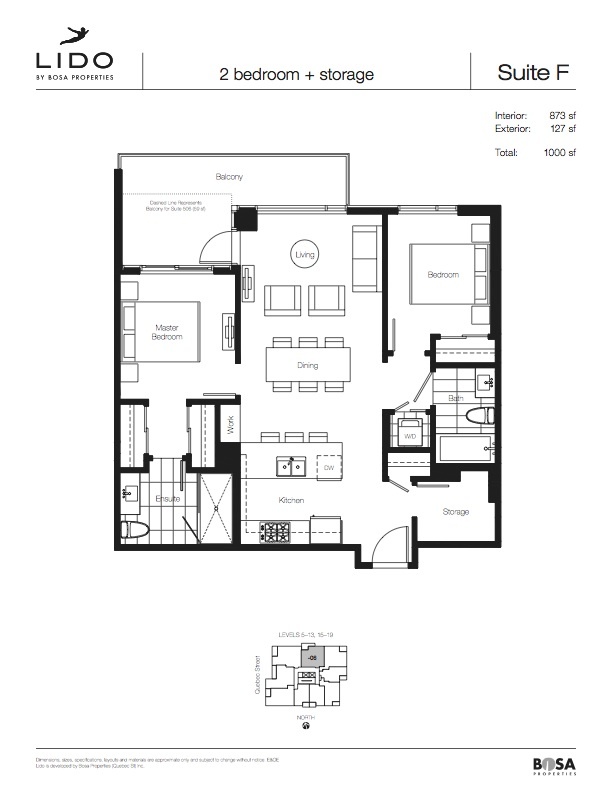 Available condos start at $348,900. If you’re old enough to remember the Love Boat on TV, then you’ll recall that the lido deck is where the swimming pool is. In some countries, lido refers to an outdoor swimming pool and surrounding facilities, or part of a beach. The best — and best known — is Lido di Venezia, the barrier beach enclosing the Lagoon of Venice. And yes. Lido had just that — not a beach, but a luxurious outdoor amenity with a swimming pool surrounded by stylish loungers, heated cabanas and convenient changing rooms. So, every day can feel like a vacation when you live at Lido. From a cozy pied-a-terre to a luxurious penthouse home, Lido is a refreshing change of place. Homes will be finely crafted, richly appointed and built to the high standards that Bosa Properties has become famous for. 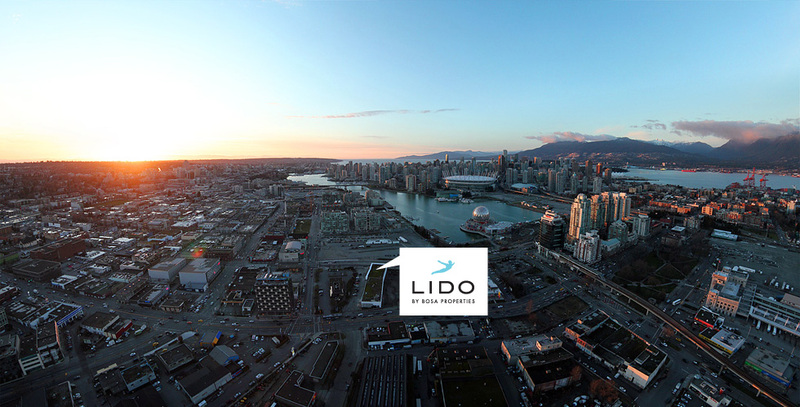 Now, and for many years to come, Lido will represent solid investment value in the Vancouver real estate marketplace. Located at the entrance to downtown Vancouver at the edge of False Creek, Lido affords easy access to downtown, waterways, transportation corridors and attractions. Lido is well positioned to take full advantage of Vancouver’s coveted urban lifestyle — as well as it’s spectacular natural surrounding. Like living in a luxury hotel. A full time concierge who can accept deliveries while you’re away from your home”� and make you a cappuccino before you head out in the morning. A lobby that greets visitors in style. A fitness facility. And an outdoor pool with heated cabanas, lounge furniture, and change rooms. Who needs a vacation when every day can be this fine? On top of Lidos’ podium is the Lido Deck — complete with signature swimming pool, access to the Lido WiFi network, changing rooms, and cabanas with lounge furniture — heated for year-round use. It’s an oasis in the middle of the city where owners can take a refreshing dip or just relax with friends and let the pressures of the day melt away. Two carefully designed colour schemes and a wide array of floor plans result in homes that truly maximize livability and views. With each and every Lido home comes Bosa Properties’ legendary attention to detail, premium Mieleâ„¢ appliances and Hansgroheâ„¢ fixtures, and the peace of mind of our dedicated Customer Care team. Mieleâ„¢ kitchen appliances, including gas stovetops. Hansgroheâ„¢ fixtures and stone floors in the bathroom. Vanishing TV in the bathroom mirror. Full heigh stone tile backsplash. Forced air-heating and air-conditioning through a heat pump. Concierge desk fully equipped with a coffee bar. The concierge desk will also be equipped with a business centre.